A pimp with no other means to provide for himself finds his life spiraling out of control when his prostitute is sent to prison. The director presents takes and scenes filmed on location in Africa for a film-that-never-was, a black Oresteia. 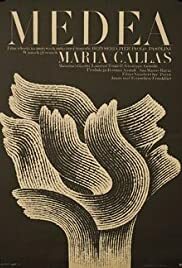 Maria Callas' first dramatic movie! King Kresus: You are a barbarian from a foreign land, different from us. We don't want you among us. It is impossible to see into the depths of one's soul. I recommend this to any adventurous viewer, but on conditions. Viewers who generally favor the clean, painterly versions of myth will find this amateurish, too slow and too cryptic in its ritual. A few even seem to believe that the repetition of the murder of Glauce and Creon is there by an editing mistake, imagine! But that's how sloppy it seems. Viewers who want the cutting conflict of the original play, will also be disappointed. There is a bit of conventional Medea in the latter stages of the film, but most of it is filmed in hugely elliptical swathes, so the concrete despair and drama all but evaporate in the air. It is a marvelously flawed piece to be sure, an appealing quality to me; that is not the same as being sloppy as a result of ignorance, on the contrary it shows an openness to imperfection, adventure and discovery. And this is a film about all three in how we watch this myth, but in what way? A significant point behind the exercise, revealed in the opening scene where the centaur lectures a young Jason on the purpose of myth, is that we have forgotten what is vital in the stories we tell, the rituals we enact. Scholarly talk of ritual dance or meditation is as removed from the purpose of either as can be, obvious enough. This is certainly true of so many Hollywood films (and Cinecitta of course), and not just of the mythical or quasi- historical variety. Oh they may excite within narrow limits of the action, but.. So many are filmed in the same way as everything else, they do not transport us, which for me is a prerequisite of every film but particularly mythic narrative. The dresses and headgear change from the norm, but the world and drama conform to a trite familiarity of other films. Though it takes place in strange, different times, a film like Ben Hur is filmed as static affirmation of visual and narrative norms; never more apparent than in the scenes with Jesus, presenting the passions in a stagy, painterly way we associate as real because the same images have been repeated for so long—say, the Crucifixion. Even Scorsese fell foul of this in both his Jesus and Buddhist films. So instead of giving us a vital presence in that world that will awaken a direct curiosity to know, they make us a dull spectator from a safe distance. We duly admire the perfection of the art and platitude of the lessons, the exact opposite of the nature of that story in particular, and spiritual insight in general. We see the mundaneness of the sacred, and not the opposite which is the spiritual essence—if we can't see transience in the traffic of Saturday night party-goers and can only read it from a Zen book, we've wasted our time. It seems this was in part why Pasolini undertook his Gospel film in the first place, show a world we know from fixed images with a real gravity that will invigorate a sense of intense, spiritual curiosity—the storylessons were the same, what changed was the air around the story. This is carried here. The point is that myth (by extension: the narrative and cinematic ritual) can only matter, be truly ecstatic, when it is really 'real' (not the same as realistic), which is to say something can only be vital when it escapes the routine of mind, and becomes 'alive' in the moment of watching. This is at the heart of the philosophical mind problem: structure does not begin to account for experience. So this is what we have here. All the effort goes to loosening up our sense of 'realistic' routine reality; the music is a mixture of Buddhist throat chanting, Japanese shamisen, Amerindian ululation, African tribal drums; the dresses and gear a mixture of Slavic, Maghrebi, Greco-Roman origins. At this point, you'll either think of it nonsensical or begin your immersion beyond sense. The point is that this is a hazy world a little outside maps and time, undefined yet. But within this world, Pasolini creates an experience of intense 'being there'—in his camera, in his chosen places and fabrics, in the textures of light, it feels like we are present. Oh it is still an abstract ritual, but one that has sense, and that sense is carried entirely in the air of the film, not in any spoken conflict. Further within the ritual, we have Medea's own magical timeflow of conflicting urges and dreams, channeled by Callas channeling her own anxieties with fame and husband, inseparable from all else. Her presence is so intense, it may be creating imaginary madness in a key scene—this seems to be why we see the burning Glauce in the dream but not out of it. The bit with the centaur may be silly, but that is Pasolini telling us a bit about the film he's made. The rest is so, so wonderfully conceived. The opening with the boy touching the sacredness of nature in every small thing is like out of Malick, 25 years before. During this time, Pasolini was perhaps the only one (with Parajanov) who could rival Tarkovsky in his cinematic flow.